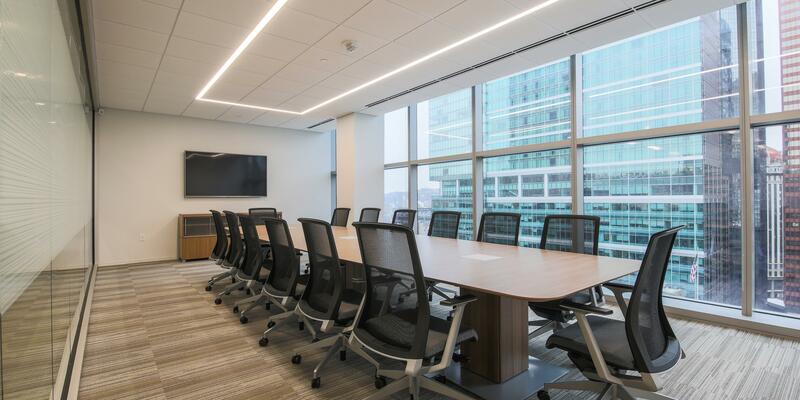 NEXT architecture completed Insperity’s 4,000 square foot interior workplace fit out in Tower 260 in downtown Pittsburgh. 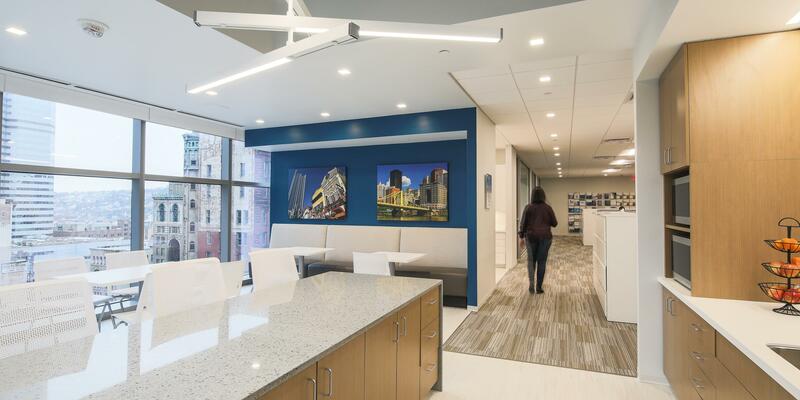 Insperity is a national human resources firm, this office is their first location in the Pittsburgh region. 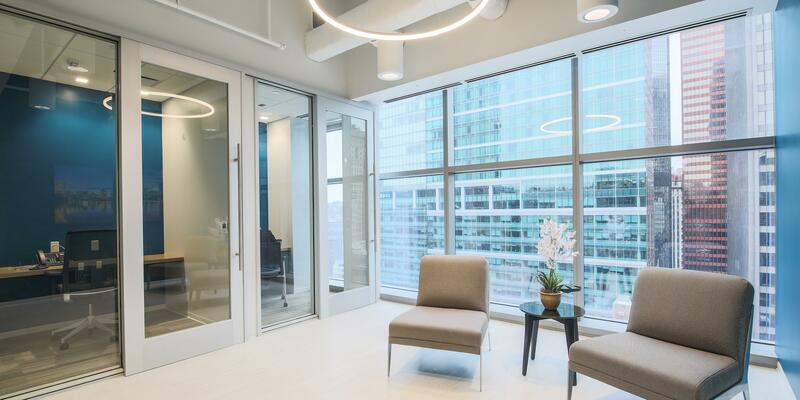 The design was focused on a corner café with views of downtown Pittsburgh. 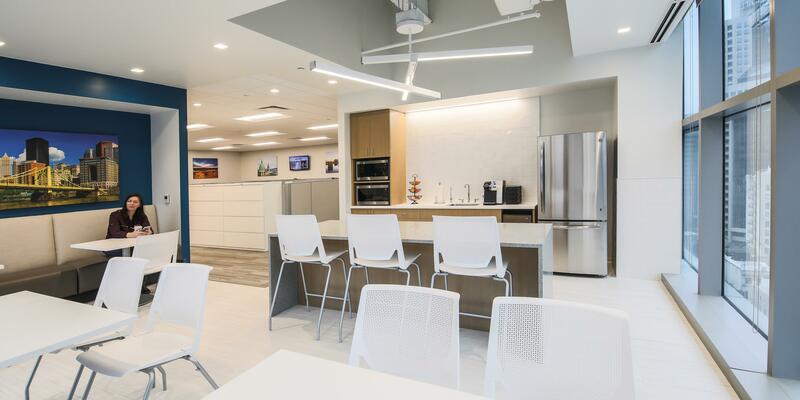 The open café is not only the heart of the office but also opened up to the adjacent open office area and allowed natural light further into the space. Conference, huddle and phone rooms line the remaining perimeter of the space. Unique light fixtures and a bright color palette bring life the space.